As a single woman who has a deep desire to get married and have children, I fail. I can get discontent with my circumstances and find myself asking God, "why?" more times then I care to admit. Is there a reason why God does not give us our desires, especially when we truly believe He is equipping us to be wives and mothers? Are we doing something wrong? Not praying enough? Not being faithful enough to Him? Not trusting enough? What is going on? 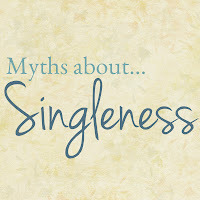 Let's go over some myths about singleness. 1. There is something we are doing that is separating us from the blessings we desire. That would be called "works" salvation, meaning we would have to do something in order to receive God's blessings, when all He requires is for us to die to ourselves and put our faith, trust and hope in His Son, repenting of our sin. Then, by the power of the Holy Spirit, we become new creations. God doesn't need us to do anything as His children, we desire to obey and bear good fruit only because He works through us, we can't win favor with Him, He does what He chooses with each of our lives to grow and sanctify us. The problem is more that we are not always capable of seeing the blessings, because we are so focused on what isn't happening in our life we don't praise Him for what is happening. 2. Marriage is the ultimate gift. No, salvation through our Savior, Jesus Christ, is. They are not comparable. So why are we comparing them like we can't bear to live without being married? We can't live without God, we CAN live without marriage. 3. A marriage will solve problems of loneliness. Maybe. But when your husband does something that upsets you or you realize he is also an imperfect sinner (because we all are), you will feel just as lonely as you might be feeling now. The key isn't finding contentment in the company of a husband, who can only meet some of our needs, the key is finding contentment in Christ's love, alone. Then we don't feel lonely, even when we are single. 4. We should mask our emotions and our struggles as single women and not burden others with our thoughts. No. This is just unhealthy. It is OK to struggle, you are no less of a Christian because you admit you're not always thinking or doing the right thing as a single woman. Talk through the hard moments, start with talking to God and to a godly woman in your life that can help lift you up and encourage you. Ask her to help you with accountability and to be willing to pray, discuss and check in on you from time-to-time. Don't be ashamed to express your feelings with those closest to you. They may not know exactly how to help you get through them, but it is OK to ask someone if they can be your listening ear, prayer partner or accountability as the Lord helps you work through tough times. 5. There is no place for you in your Christian circle because everyone is dating/courting or married, you have no purpose in their lives. False. You are just as important to the body of believers as any couple is and it's important you surround yourself with those that agree. Look for opportunities to serve the married couples in your life, including those in your own family. Take care of their kids, invite them to spend time with you and talk about how the Lord has been growing you in your walks. Be willing to be the third wheel, you aren't intruding or if you were, they'd let you know! :) But if you feel left out at church or among married family/friends, bless them with your time to help them around the house or go early/stay late at church to help the ladies who have kids get things done. *Consider studying 1 Corinthians 12 on the unity of the body of Christ. The reason you are single, is not because you are doing something wrong as a Christian woman. 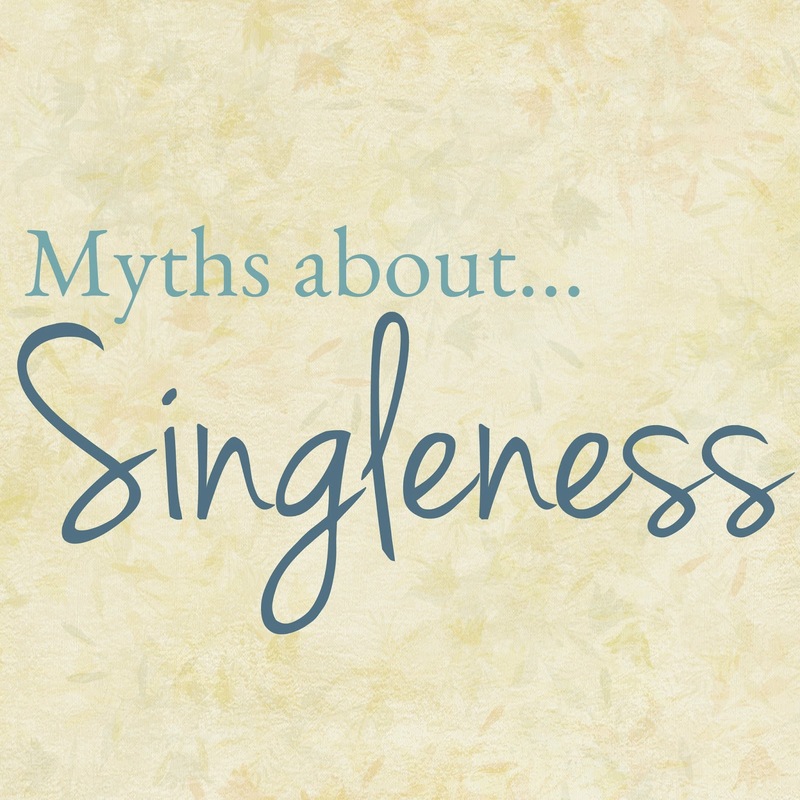 We all have to check our heart and motives from time to time as to why we feel discontent or lonely, but don't get so down you miss the blessings of singleness. God loves His children so much. How much you ask? He gave His Son for us. Imagine that! Do you think that He would do that, but NOT give you what He knows is best for you right now? I don't think so. Like many of you I'll admit I sometimes fail at seeing this, but I don't doubt He is using each of these circumstances I'm walking through as a single woman to show me how much He loves me. His love has no boundaries and He often shows us His love by walking us through things we don't think we can possibly get through. And then we do!!! Why? Because His strength guided us through and with that we are able to give Him all the praise and thanks for something He did for us. We cannot do anything without Him and His strength is shown in our weakness, so when we persevere and find victory in the faith we have in Him, through His Son or Savior, Jesus Christ, it is a beautiful picture of His love for us. He loves us more than any other man could ever love us. What an amazing Gift we have been given as believers. Remember, you are fearfully and wonderfully made ~ Psalm 139:14 ~ by our Amazing Creator! He has each of us right where He desires us to be, I encourage you to learn from what He's teaching you and seek Scripture throughout your journey with Him. I am a writer at For Unmarried Christian Woman, an independent consultant at Lilla Rose (famous for our flexi-clips) and a contributing writer at Hearts for Home. I am a single woman who has a desire to share what I'm learning through God's Word, other ladies and all the encouragement I've come to cherish during this season of life. My favorites include trips to the beach, anywhere there is good fellowship and sitting under a shady tree with my Bible. I would love for you to come join me on this adventure and enjoy life together as Christian women. :) Blessings! Great stuff! The hardest part with some of these, especially the last one, is that - while I do not believe them - many people within the church do. Small groups of young marrieds, and especially young families are often unwelcoming to singles, even though we may be the same age. I've often had the vibe that they consider themselves more "grown up" than me - even though we're the same age, I live on my own, have a masters degree - just because they are married and have kids and I don't. It's painful. I hope this article helps both single young women and the church as a whole. Thank you for sharing! Amy, I agree with the same feeling. I just started serving children and families at a church and I want to be a part of the young adult (which is basically the young married people: moms and dads of the kids I serve) group, but didn't quite feel welcome. It is difficult and can be awkward. May God grant a vision to congregations not to exclude single people to their own group. Congregations become so compartmentalized and I think it can really hinder the body as a whole! I agree, I've often felt like that because I'm not in the same stage of life. It might be a little harder to connect, but our primary connection should be Jesus! And thank you my dear for your encouragement as well...sometimes it does become easy for us to get caught up in thinking incorrect reasons for our singleness, but we must always remember God has better plans for us than we could ever have for ourselves. :) It's such a comfort!! Thank you for this Chelsea. Needed this today. Blessings to you sweet sister! After reading this I just had to comment. I am no longer single, but almost 2 years ago I was. It was a struggle for me for so long. Thankfully my church family didn't make me feel any different. I was able to spend time with them just as I do now. They were such a blessing and encouragement. Anyways, one Sunday I had to work that morning, which honestly, I'm no fan of, but sometimes I have to do it. (very rare though.) That morning at work I just started crying. I just told God my heart. There I was doing what He wanted me to do in life. (I didn't go to college because I knew it wasn't His will for me, and I didn't take any of the higher paying jobs that came along because I knew it was His will, and I turned down every guy that asked because I knew it wasn't His will.) But even though I was doing what He wanted me to do I just felt so down. Since I was saved it was a dream to be a wife to a godly man, but it wasn't happening, and I couldn't understand why. That night when I went to church a young lady who was visiting her grandmother got up to sing, but before she did she testified about how God helped her realize that it wasn't her life but His. She ended up singing "Turn Your Eyes Upon Jesus", and that was when I had to tell that Lord how sorry I was for doubting Him and not being completely satisfied with Him. I had to just trust Him and live for Him whether a man was part of that for me or not. It was probably 2 months later that the Lord blessed me with an amazing man. Less than 7 months later I became his wife. We celebrated a year of marriage in March. Even if he had never come into my life, and I was still single now, I know that it would be alright. That night I realized that Jesus was all I needed, and even though I thank Him so much for my precious husband, He still is.